While I seem to give my phone to my kids to keep them entertained when the doctor’s appointment runs late or the checkout line is getting longer, there are times that I would like to keep myself entertained in similar situations! 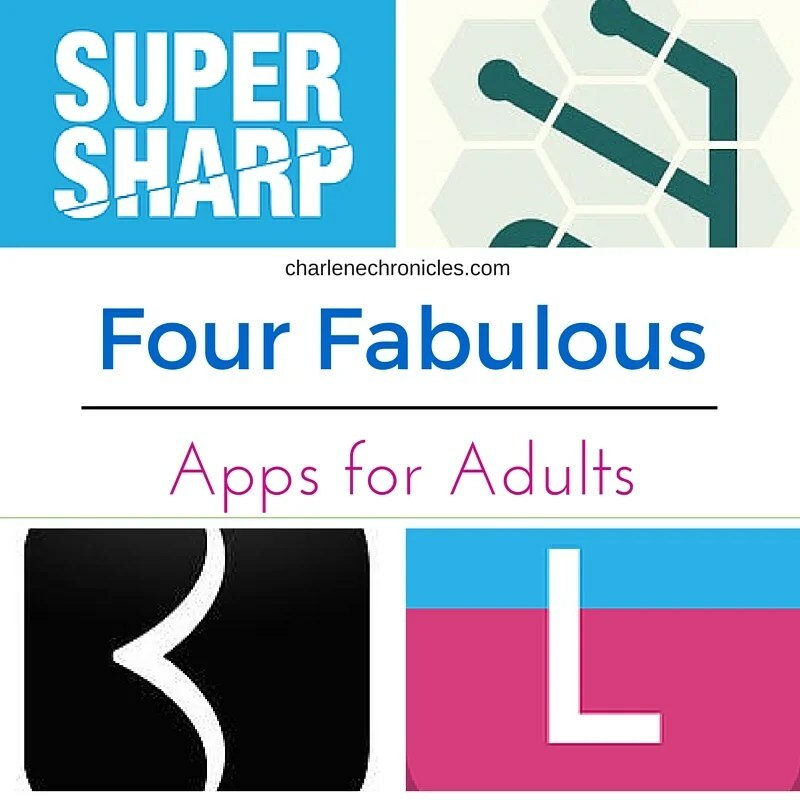 So I’ve found four fabulous apps for adults – that are not Candy Crush! These are great apps that are fun, creative, beautifully designed, and keep our mentally acuity in tip-top shape! Super elegant and minimalist, it’s a simple interface. The trick is to slice through obstacles with pendulums, spheres and gravity defying platforms in this physics-based app for seriously smart game play on the go. With creative mechanics, it’s a word game with over 70 levels and 3 levels of difficulty with these handcrafted themes to versify your vocabulary. Relaxing, strategic and addicting puzzle, Noodles has zen-like sounds and graphics that can be addictingly mindless and challenging at the same time. Collect colored dots and avoid black holes with doodling gestures in this stylish graphic app. Whether genius or ingenious, doodle and demand more. You can find these all on the iTunes app store!